Before we delve into describing the operational characteristics of Theta, we need to talk about the anatomy of an options price. Although it is quoted as a single bid / ask pair of quotes, the options price reflected on your quote screen actually consists of the sum of two components – the extrinsic and the intrinsic value of the option in question. The intrinsic value of an option is that portion of the option that has value by virtue of the current stock price. For example, AAPL currently trades around $607 / share as I write this. The August 600 strike call trades at around $27.00. The intrinsic value portion of that premium is ($607-$600 = $7). Intrinsic values of a given option can vary from essentially the entirety of the option value for a deep in-the-money option to $0 for an out-of-the-money option. In our AAPL example, the out-of-the-money strike of $610 sells for $22 and contains $0 of intrinsic value. Conversely, the extrinsic value of the option is the value attributable to the option as a result of the perceived potential of it to move to that strike price during the life of the option. The market value of our $610 strike call consists entirely of extrinsic value. 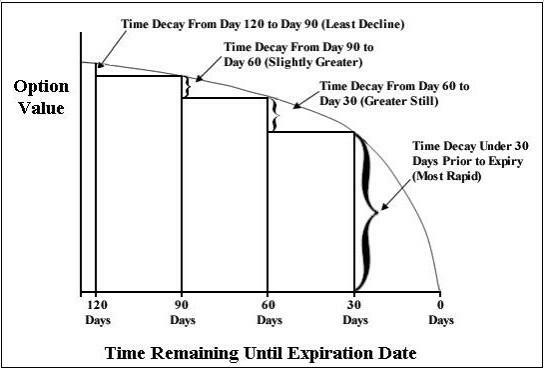 A critical point of understanding is that the extrinsic value of the option will always go to O at expiration. It is this extrinsic value that is impacted by factors described by our two major remaining Greeks, Theta and Vega. 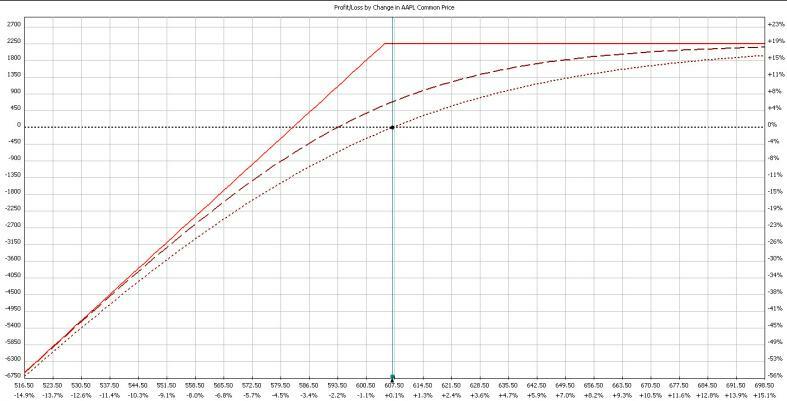 It is important to recognize that the impact in changes in Theta will most noticeably impact options consisting of mostly or entirely extrinsic premium. Deep in-the-money options which have little extrinsic premium will be effected little by the passage of time. Let us now consider how these facts can help construct high probability trades. Positions using options can be constructed to benefit from the passage of time (positive theta trades) or to be negatively impacted by time passage (negative theta trades). Since time only moves in one direction, all else being equal the group of positive Theta trades dramatically increase our probability of success. Several points bear emphasis in this position. First, profits are maximized with a quick move to the upside before time decay of the option has time to become pronounced. 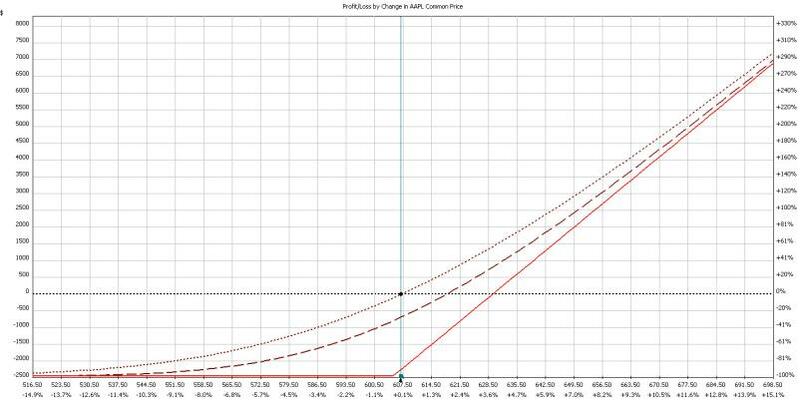 Second, the price of AAPL at expiration must have increased by an amount sufficient to offset the extrinsic premium paid when the option was purchased. Given the statistical probabilities we have discussed over the last several weeks, this position has a 35% chance of profitability at expiration. Let’s now look at the other side of the coin. The August 605 put can be sold short for around $22.50. This is a positive Theta trade and accrues and benefits from the passage of time at around $37 / day. This trade has a probability of profit of 67%, almost twice that of the long call structure. These positions are obviously not identical. The long call has unlimited potential profit while the short put is capped at a maximum profit of the initial credit received. Also, the put seller has the non-negotiable obligation to buy AAPL shares at the $605 strike anytime between the time the position was opened and expiration. 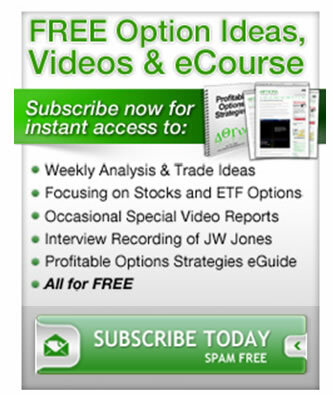 The beginning options trader is well advised to understand the behavior of his positions with respect to the Greeks and the impact these metrics have on profitability. There is no free lunch, but experienced successful traders have found that putting probabilities on your side dramatically increase the chances of a long options trading career.